A brand like Tribal needs an identity that represents the interpersonal connections it promotes. The icon represents the connection, the web, the links between you and your tribe. Supporting the spirit of individuality, this identity gives the vibe of that 'one of a kind' spirit. 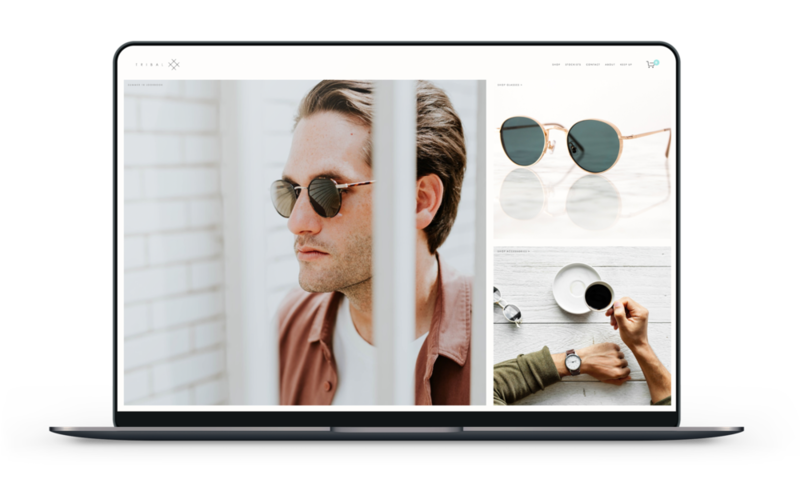 An e-commerce platform, in the works, will help connect individuals with new products, look books, as well as their friends, their tribes, and their loved ones with group shopping features. Users will find great products, great content, and beautifully written blogs that anyone can submit inspiring works to.